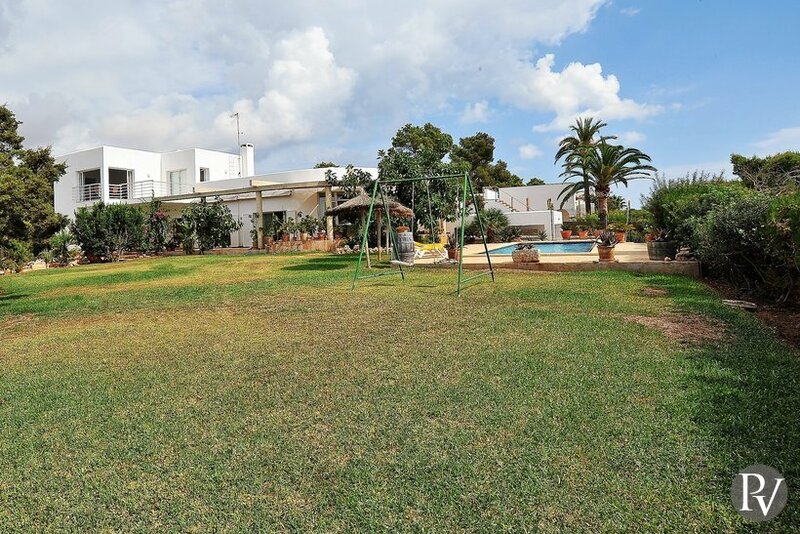 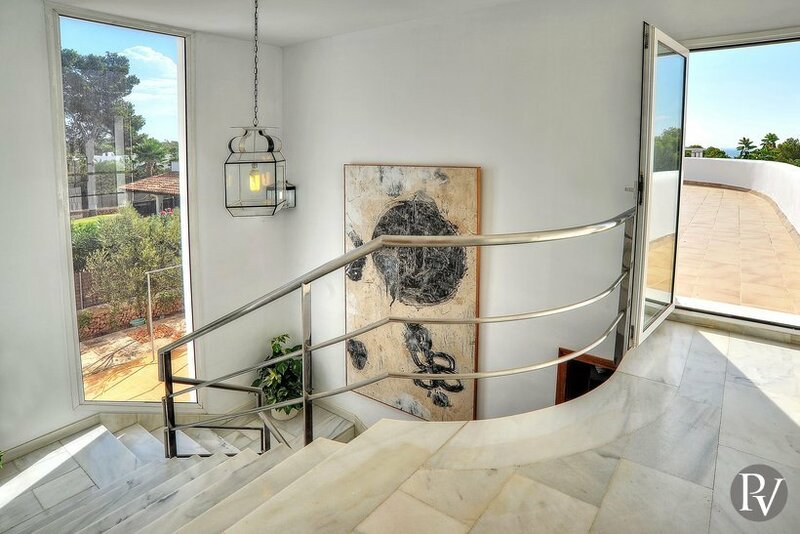 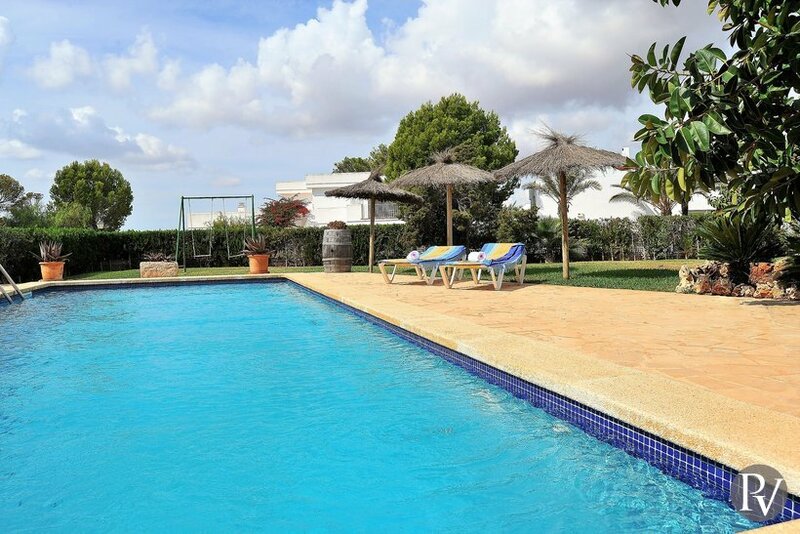 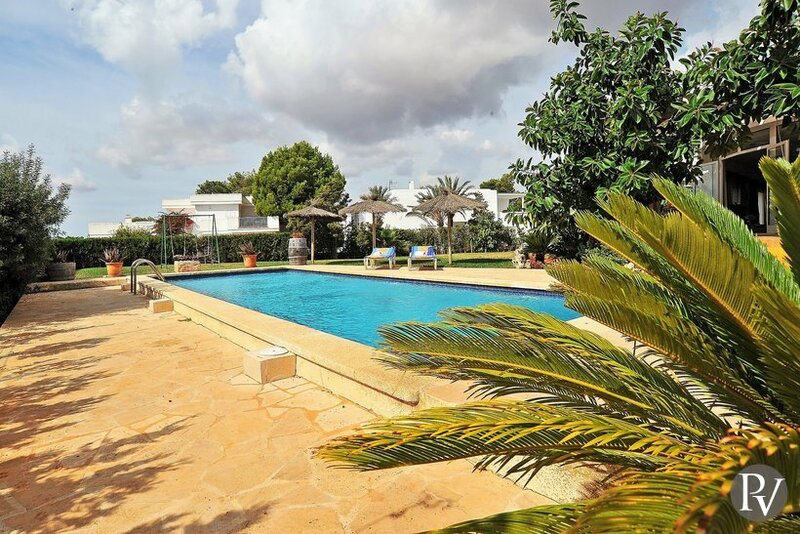 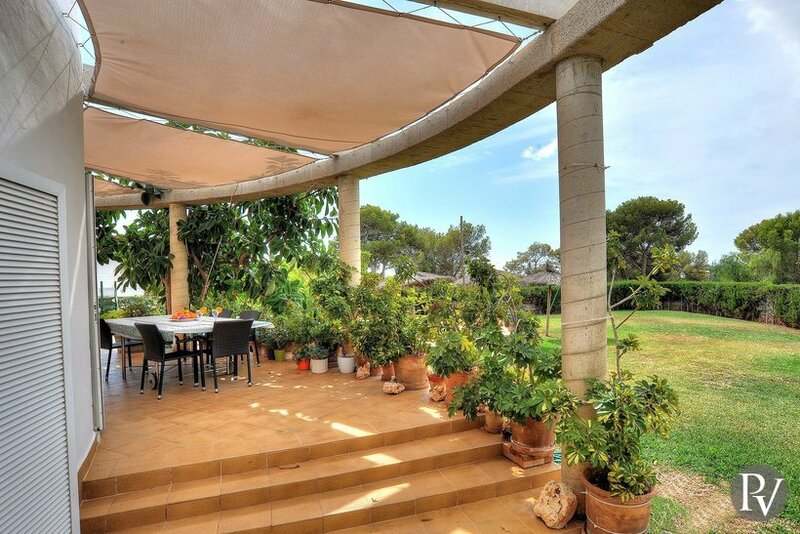 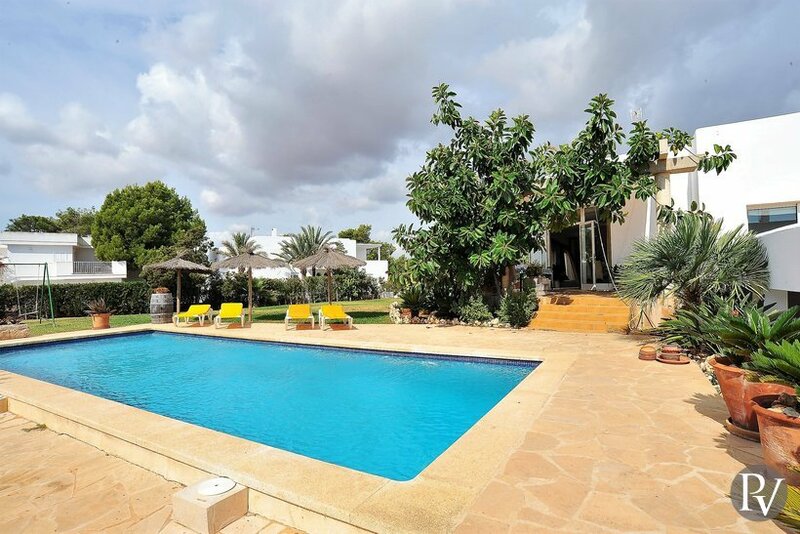 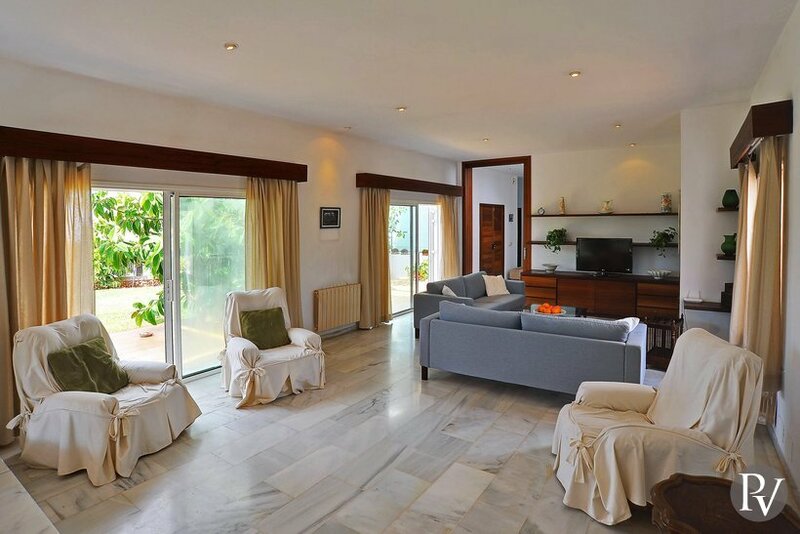 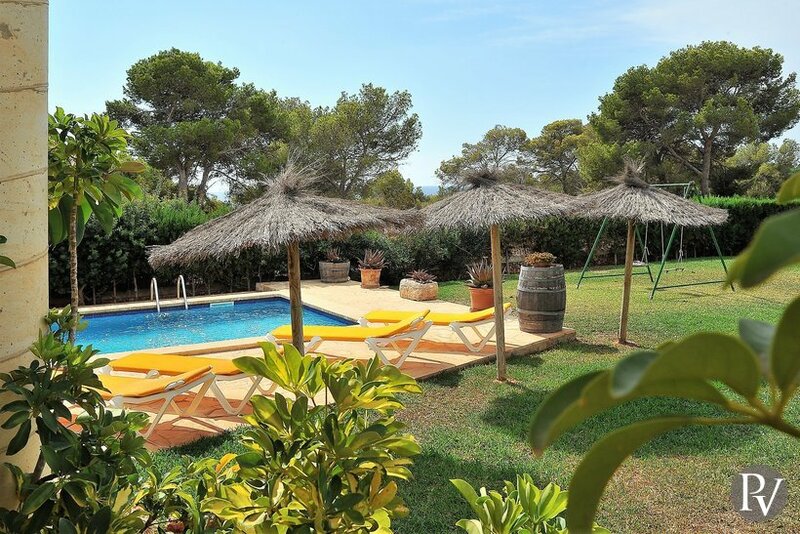 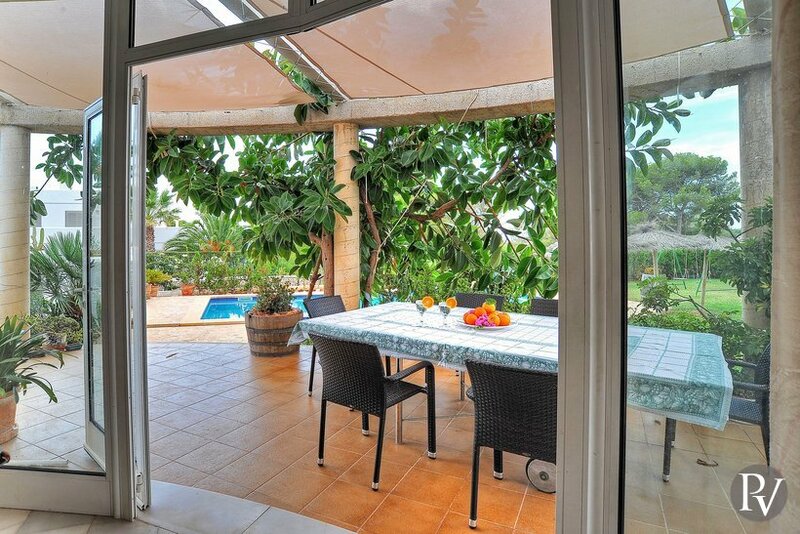 Bonic Jardi is a four bedroom villa in the quiet residential area Cala Llamp - Cala D'Or, close to Porto Petro; the perfect place to relax. 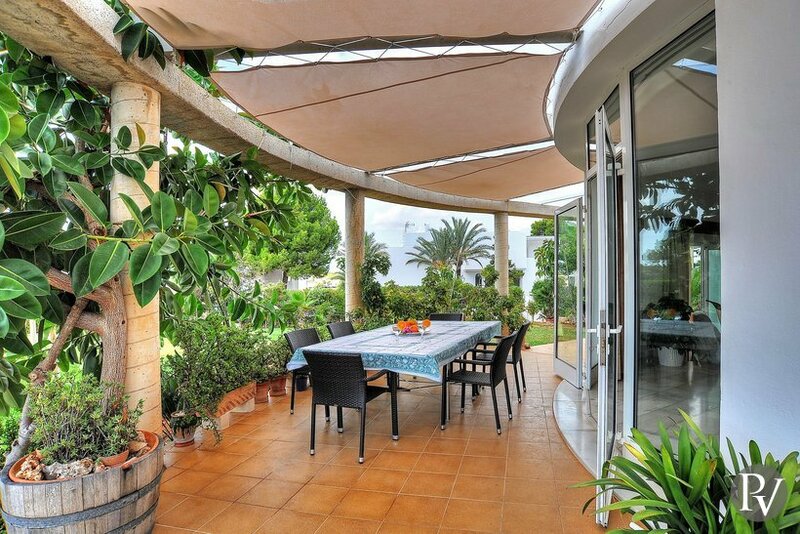 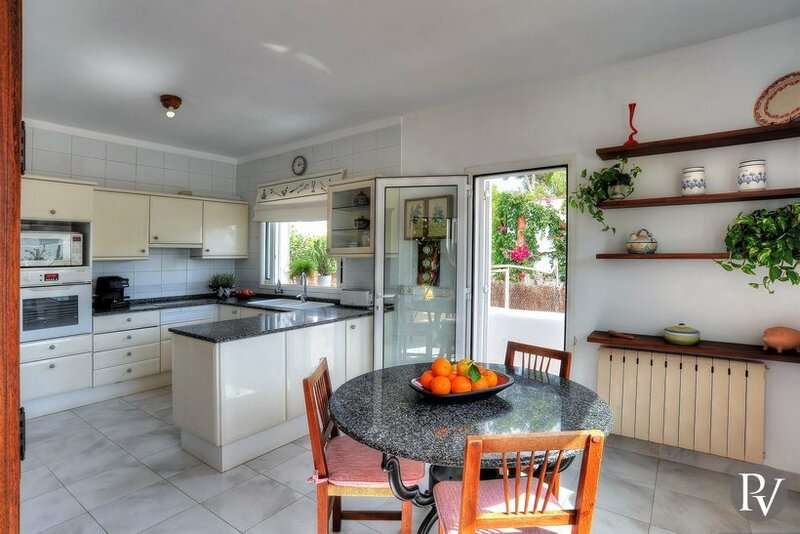 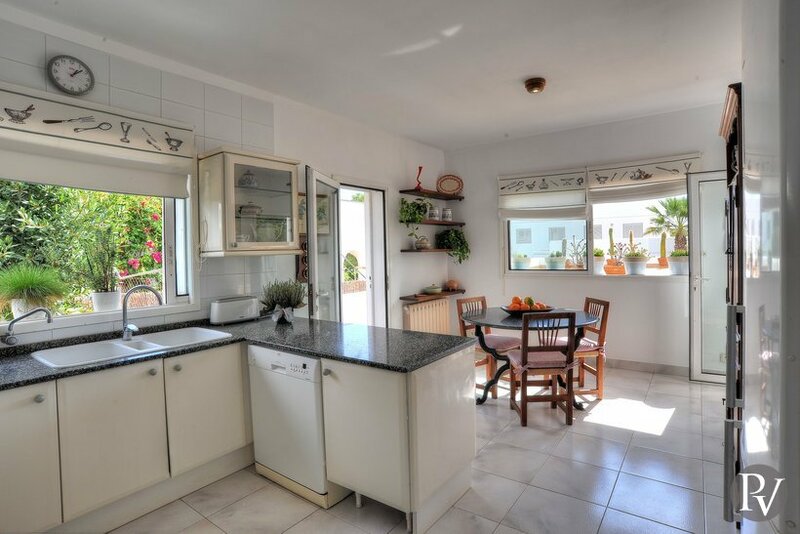 Just a short walk from Cala Egos centre which offer some restaurants, supermarkets, leisure activities and a beach. 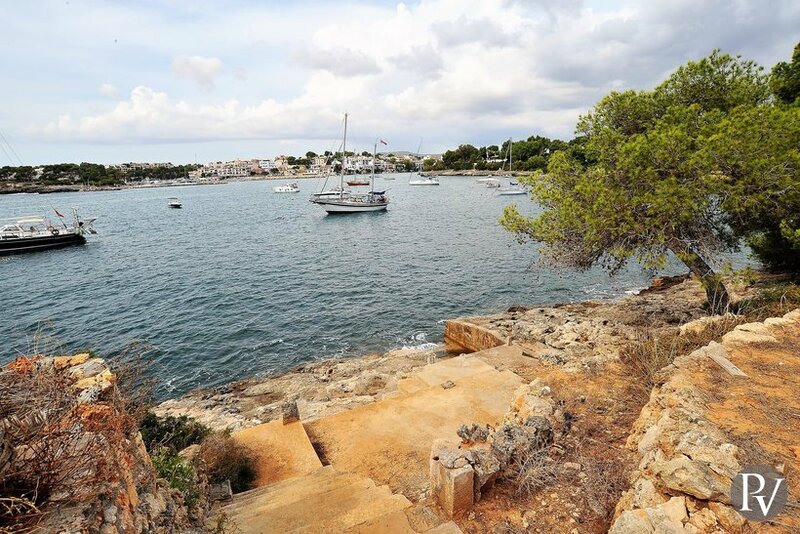 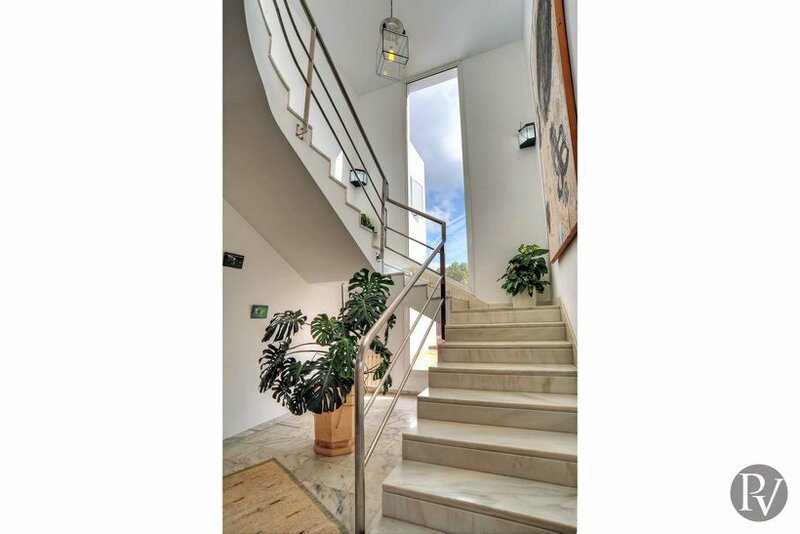 The marina and Cala D'Or centre as well as Porto Petro are only a few minutes' drive away. 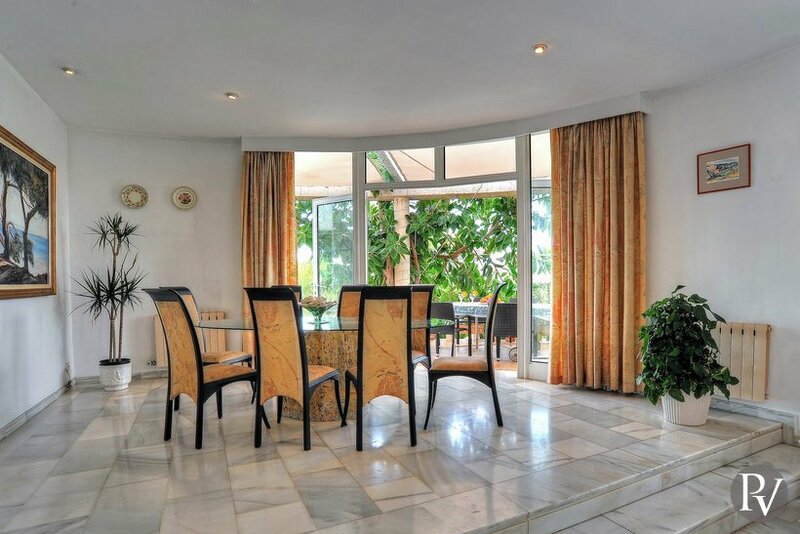 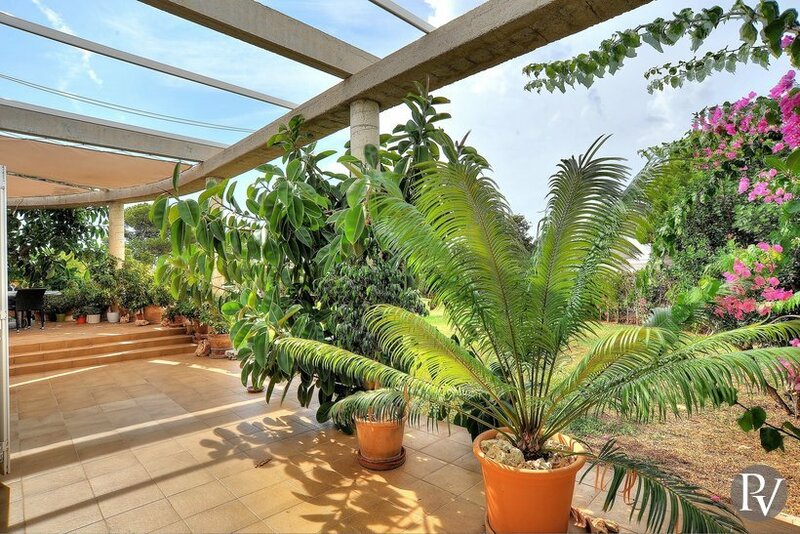 On the ground floor is the open living/dining room with access to the terrace. 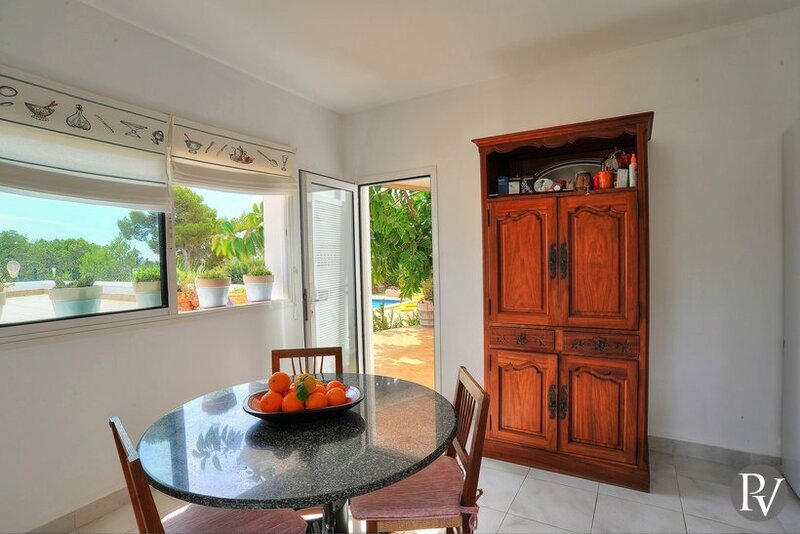 The kitchen with a breakfast table, larder and utility room is close to the dining area. 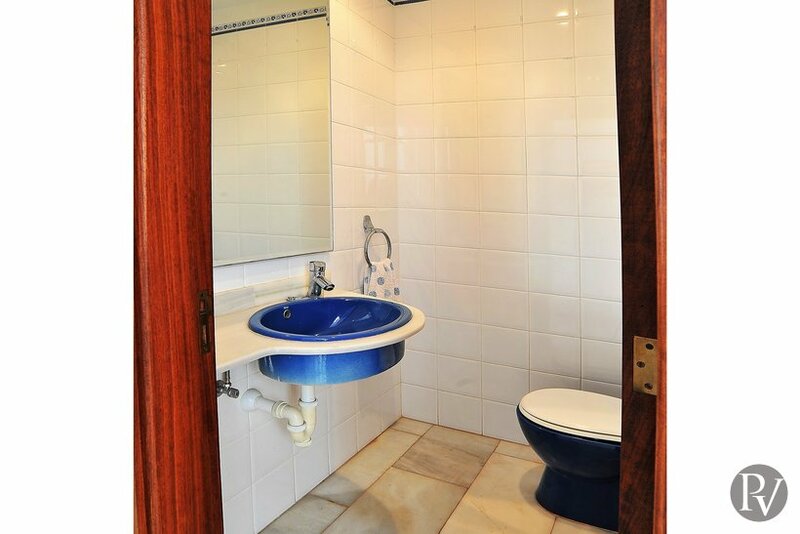 There is also a twin and a double bedroom, a separate bathroom and a guest toilet. 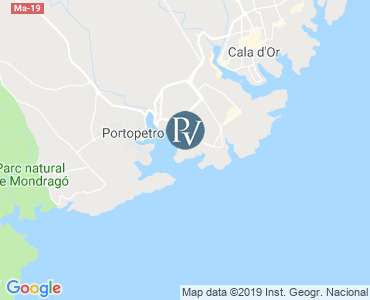 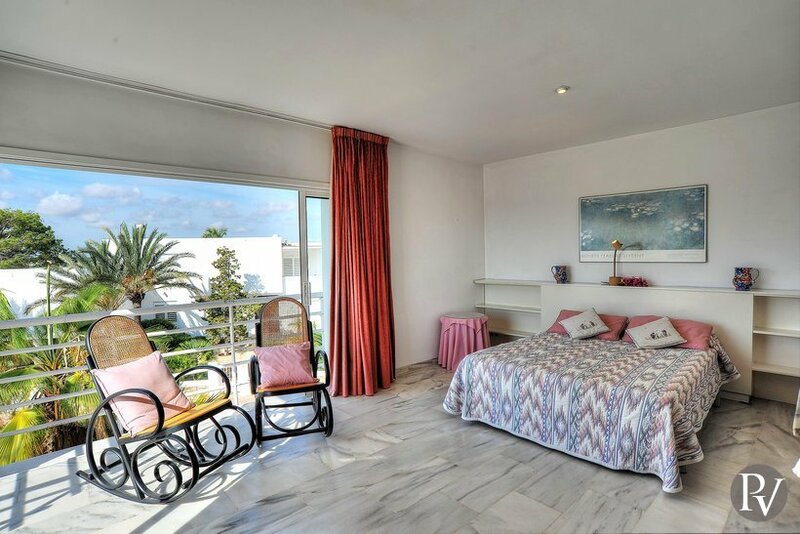 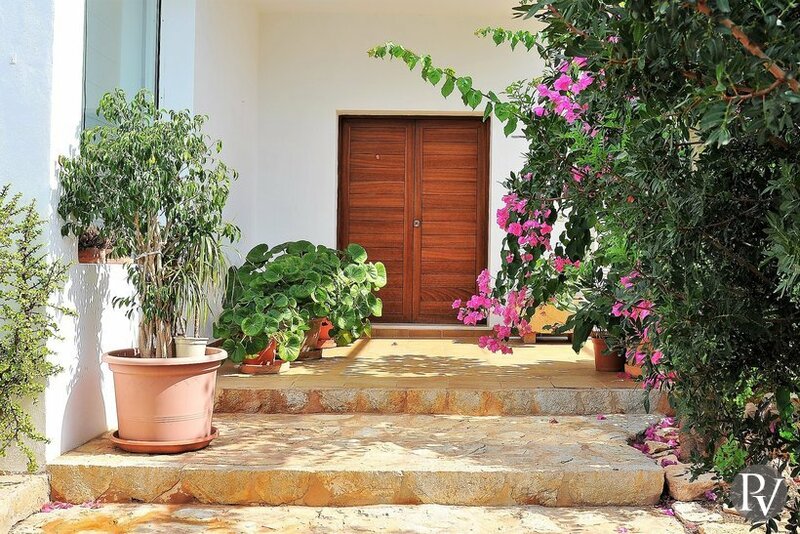 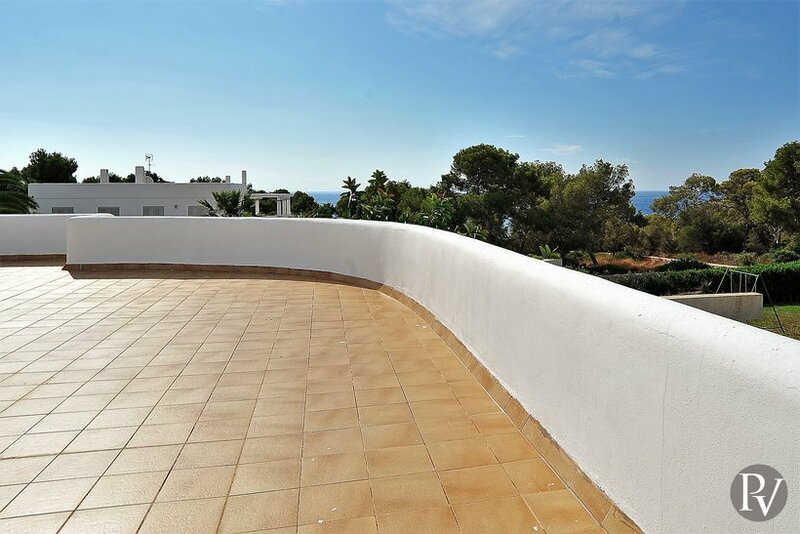 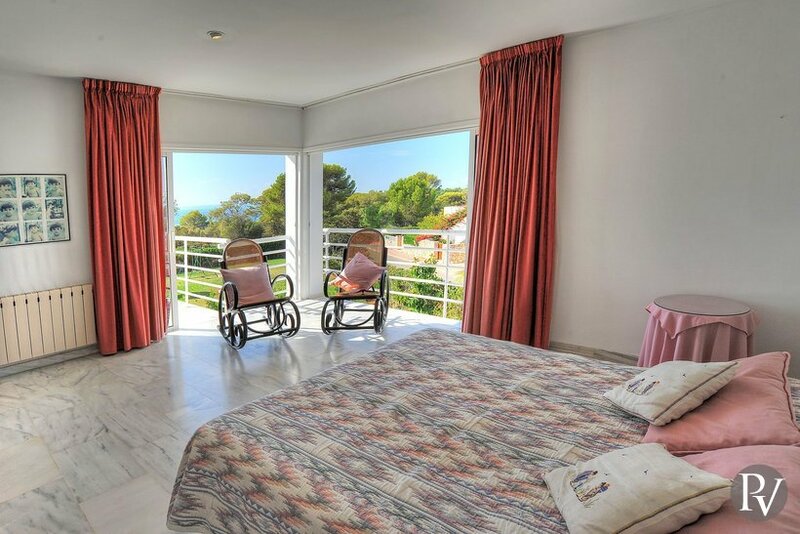 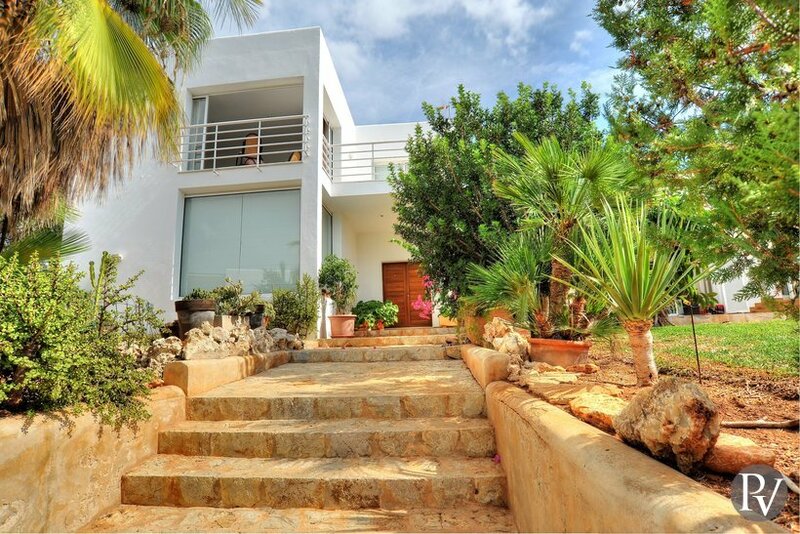 On the first floor is the master bedroom with a double bed and access to a small terrace with partial views of the sea and Porto Petro in the distance. 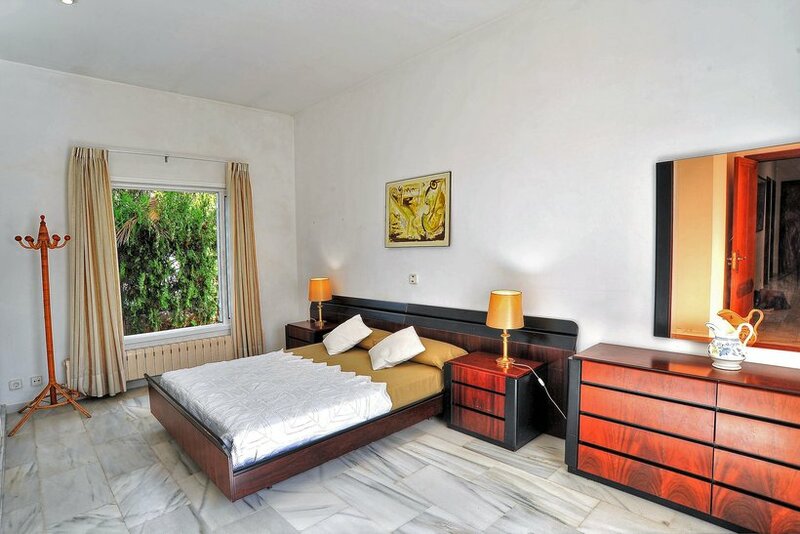 By this bedroom is the walk-in closet. 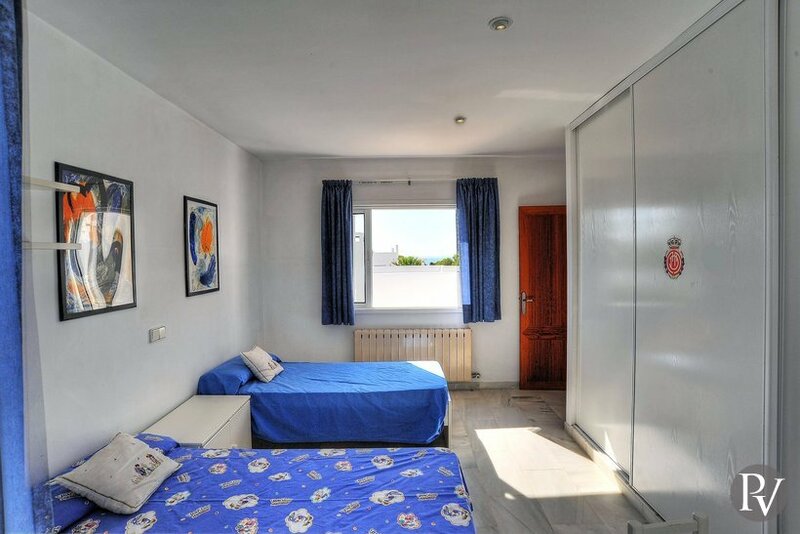 The last one is a twin bedroom with a small balcony. 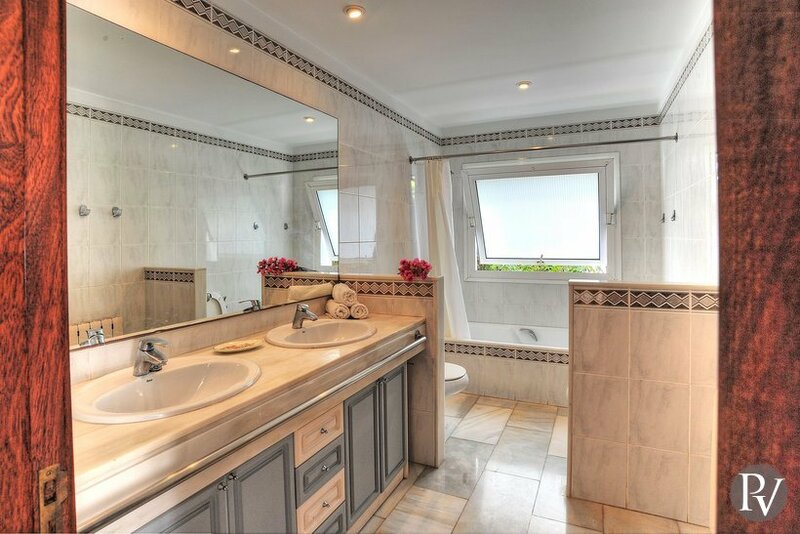 These two bedrooms share a separate bathroom with bath and separate shower. 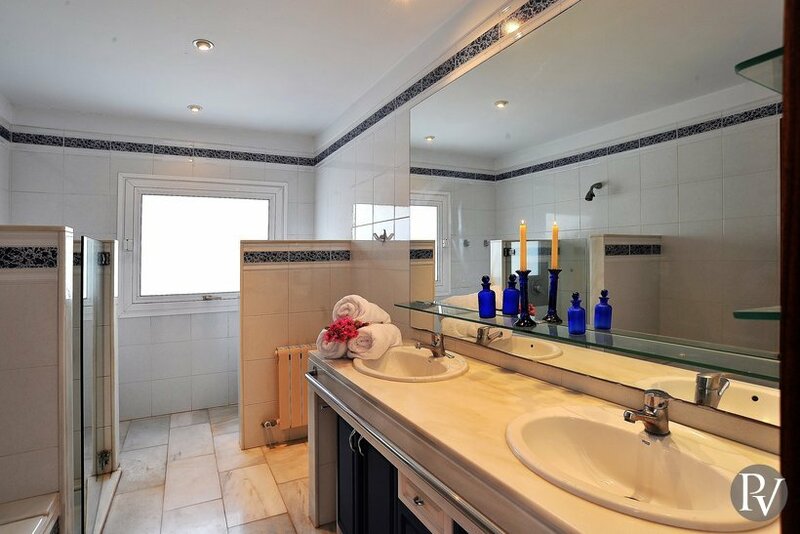 Maid service: will be on arrival day, and once during the week of a 7 day booking. 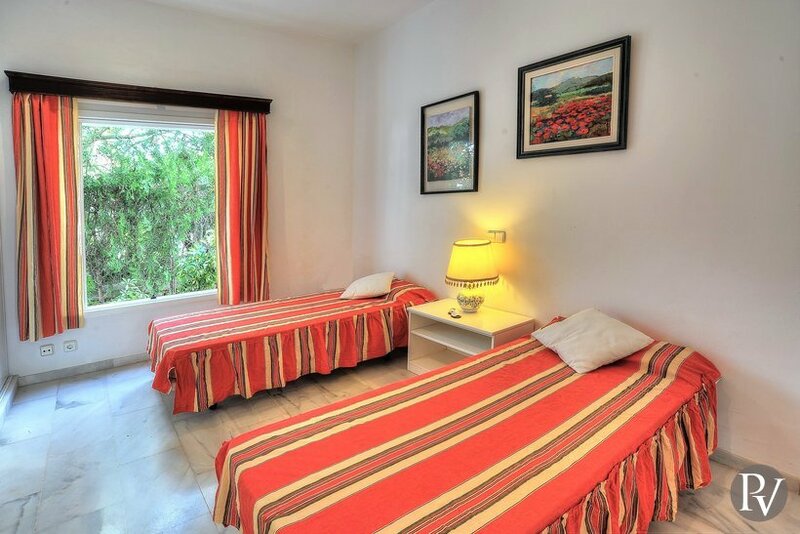 Please note: A Tourist Tax of €2.20 per person (over 16 years), per day is required for the first 8 nights. 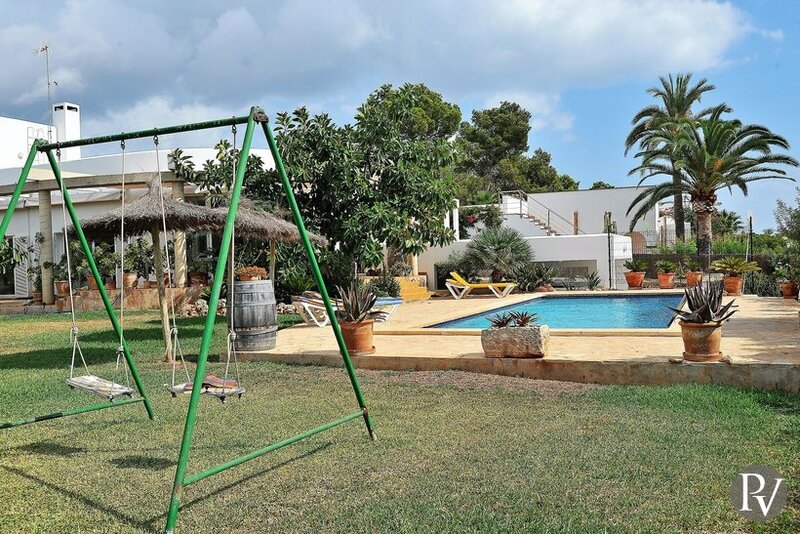 From the 9th night onwards it is €1.10 per person per day.